I’m in love with this tank, it’s SO cute! I didn’t buy it in store, but I just added it to my cart after looking at it again. It runs small, I’m wearing a size 6. 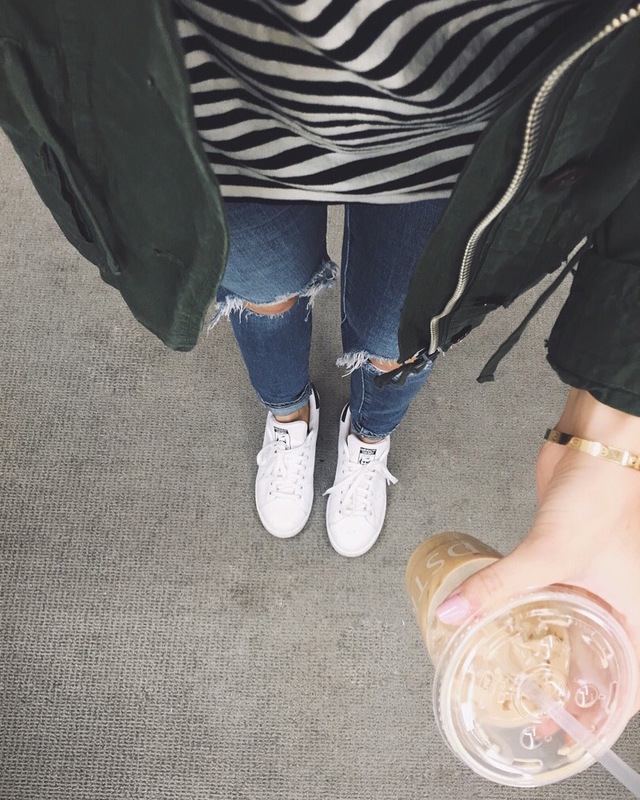 This outfit is on repeat lately…jeans (sizes just restocked), sneakers, tank, jacket. 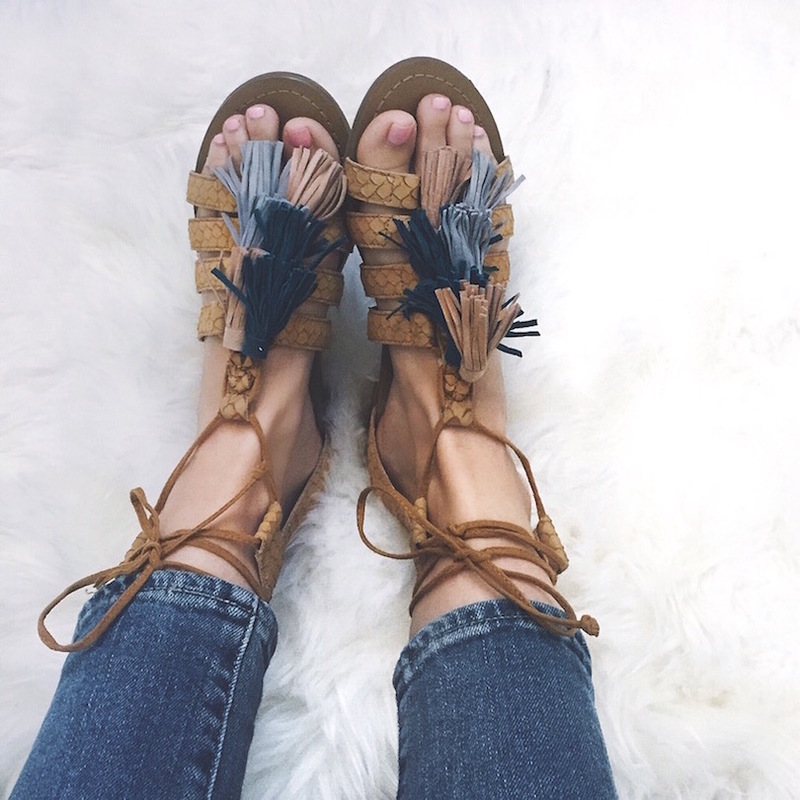 I took these sandals home with me – I can’t believe how comfortable they are for the price! I’m in love…I ended up exchanging for a 7 (normally a 7.5 in sandals), so I think they run a little big, but the 7.5 was fine also (7.5 is pictured above), just personal preference. 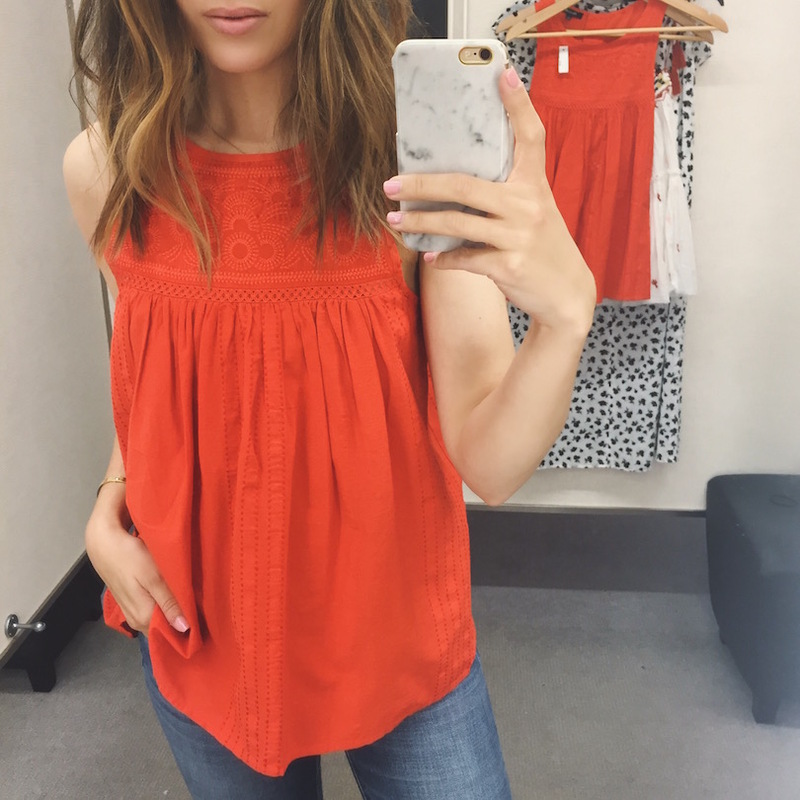 Also brought this top home with me – the details are so good and the color is perfect for summer! The white version just went 40% off, SO good! 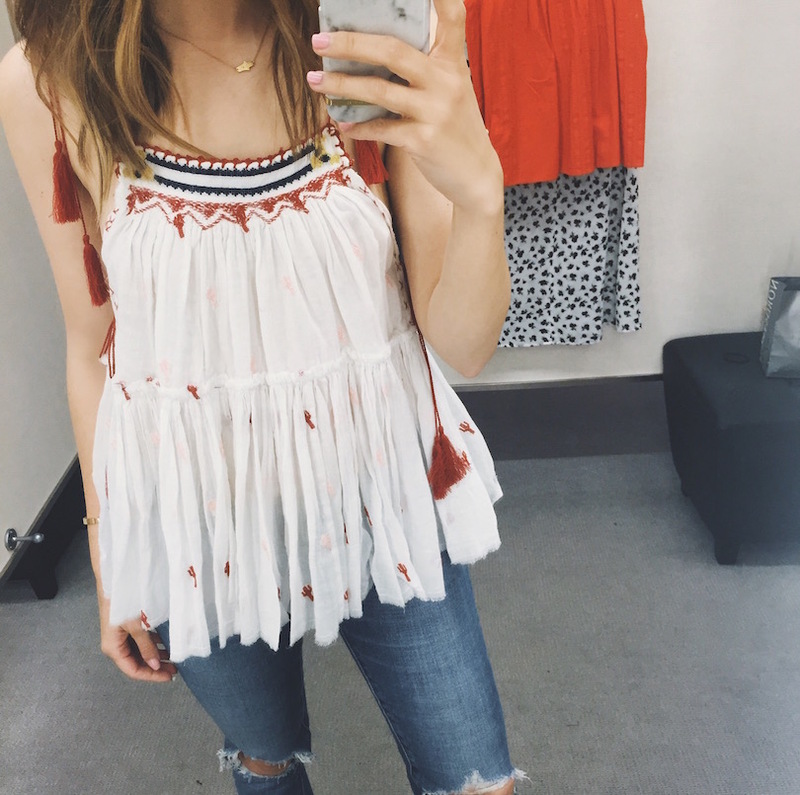 And these sandals are a new favorite as well, they are on sale here! 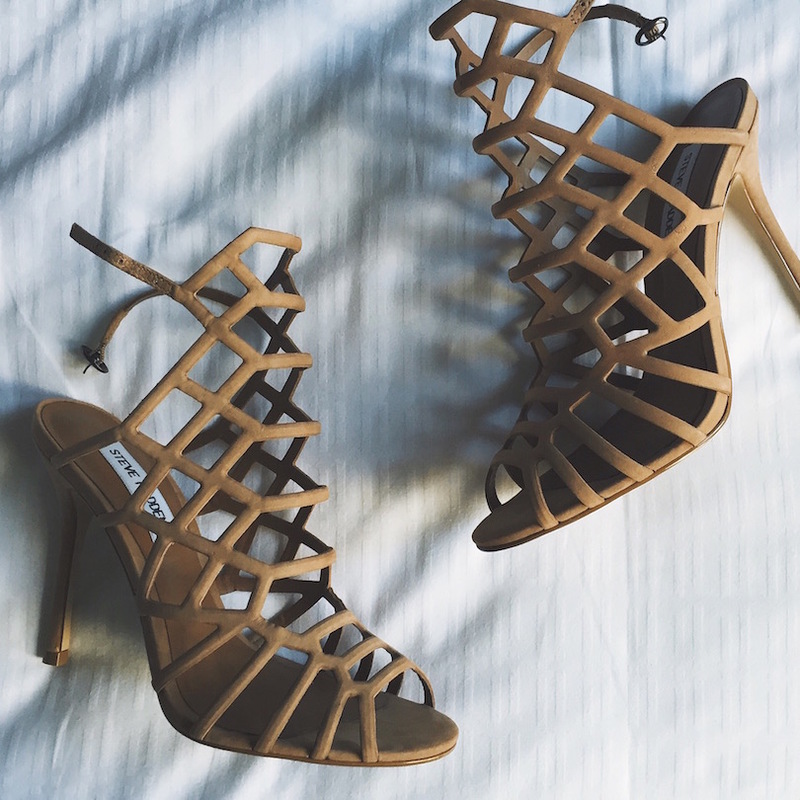 THESE SANDALS in taupe are amazing and look designer. I’m pre-ordering THESE because they are the perfect summer party shoe! I really need more flat sandals, and THIS PAIR is probably my current favorite – they look like Balenciaga, but just went on sale for $50!